There's a reason a lot of us only sing in the shower or when no one else is home. Sometimes, we're just too shy to share our talents with the world. This dog felt the exact same way - so his human decided to secretly film him while no one was home. This dog was just going about his day when the humans left the house like normal ... and then, it was showtime. 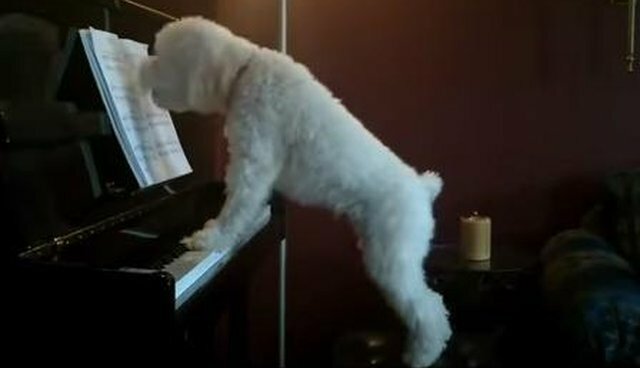 The human obviously knew this dog was up to SOMETHING, but I'm sure they hadn't even fathomed that their dog is actually a musical genius. I wonder what secret talents the rest of our pets display when we're not home? Soccer stars? Expert chefs? In reality, they probably just sleep a lot, but hey. A dog lover can dream.